As a high school senior in California last year, Jose knew his Dad was excited about his college application process – even if he didn’t have much experience with how it all worked. Jose has been aiming for a degree in computer sciences—a big goal, since nobody in his family has ever graduated from college. But since he was young, Jose has had a unique support system through the California-based organization, and Dell Youth Learning partner, Peninsula Bridge. 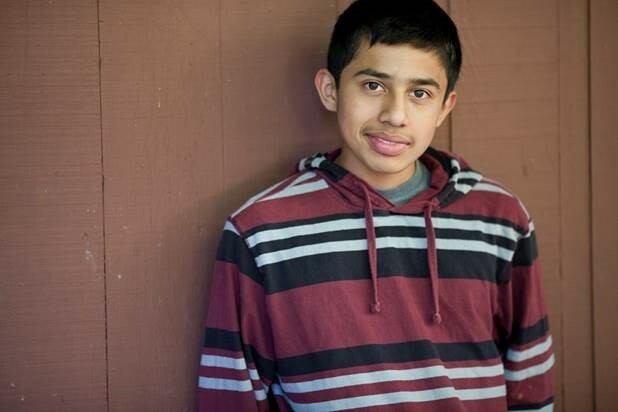 Academic advisers with Peninsula Bridge work closely with students like Jose – and their families –beginning in the 5th grade through high school, and even through college. They provide personalized academic mentoring and tutoring to low-income students living in the San Francisco Peninsula area. Good news, because the nation’s economy needs them! Research and reporting shows the U.S. isn’t producing enough graduates with the skills to thrive in the country’s evolving economy. The five most valued work skills in 2030 will be creative drive, logic, emotional intelligence, judgment and technological literacy, according to the recent study – Realizing 2030 – commissioned by Dell Technologies. Peninsula Bridge’s curriculum aims to nurture skills for the workforce ahead. Project-based learning fosters interest and enthusiasm, including for STEM education. Jose has been attending the organization’s summer sessions since the 5th grade. Attending students benefit from a mix of academic and enrichment classes, plus recreational activities – all designed to keep them on the college track when they get to high school. They even learn about career opportunities by visiting premier Bay Area companies like Google and Amazon. Peninsula Bridge is a Dell Youth Learning partner. Dell provides grant funding and our technology. Our funding supports the Summer, Middle School Academy, and Eighth Grade Academy programs. 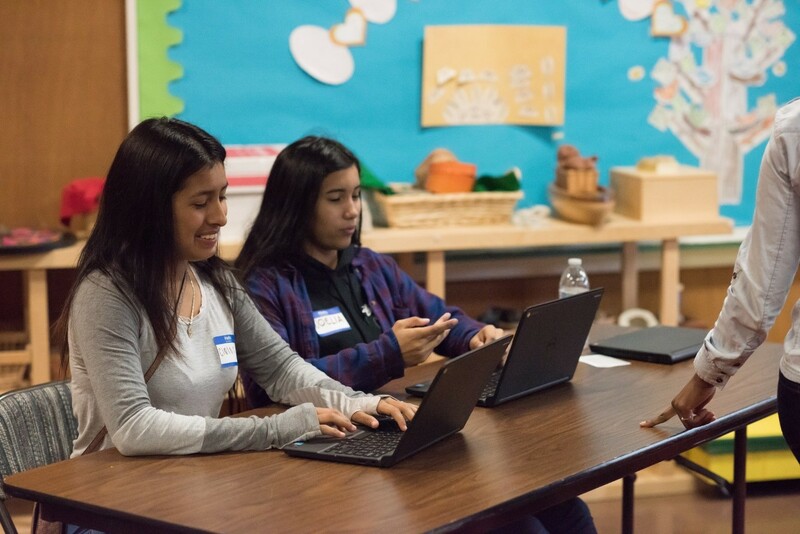 Using Dell-donated Chromebooks, Peninsula Bridge also guides students on how to code, conduct research, and more. Jose was introduced to Peninsula Bridge when his elementary school counselor submitted him as an applicant. The organization partners with around 35 Peninsula-area middle schools to encourage low-income students who excel to apply for its programs. The approach is unique: Students are brought back together each summer with their assigned cohort of high-achieving peers from similar backgrounds. Seeing that same group of students each year is a supportive experience, Jose says. Another important aspect of the Bridge program is teacher assistants, who are high school and college-age volunteers, come from similar circumstances. “The students relate to them and look up to them,” says Rene Jimenez, Director of College Success Programs. Rene knows first-hand the value of this connection. Rene joined Peninsula Bridge in August 2015 and participated in the Bridge program as a 7th and 8th grader. While the college application is only one step among many for low-income and first-generation college students, Rene says it is a critical hurdle. With the help of Rene and his College Access Counselor, Jose applied to Sonoma State University, the four-year college where he recently started classes. Peninsula Bridge assigns one College Success Advisor to each college-bound cohort. This advisor supports the students with academic counselling and guidance on how to utilize FirstGen resources on campus. Peninsula Bridge helps with other hurdles, like: learning how to use a washer and how to navigate social life on campus. Today, Jose is happy to be in college. Through Peninsula Bridge’s College Support Program, the support continues. College coaches communicate with students regularly and visit them periodically, to ensure they take advantage of the resources and opportunities offered at their universities. Last year, Peninsula Bridge celebrated its first graduating class of 18 high school students to complete its program. All 18 students are now attending college! Dell wishes all the best to these recent grads.